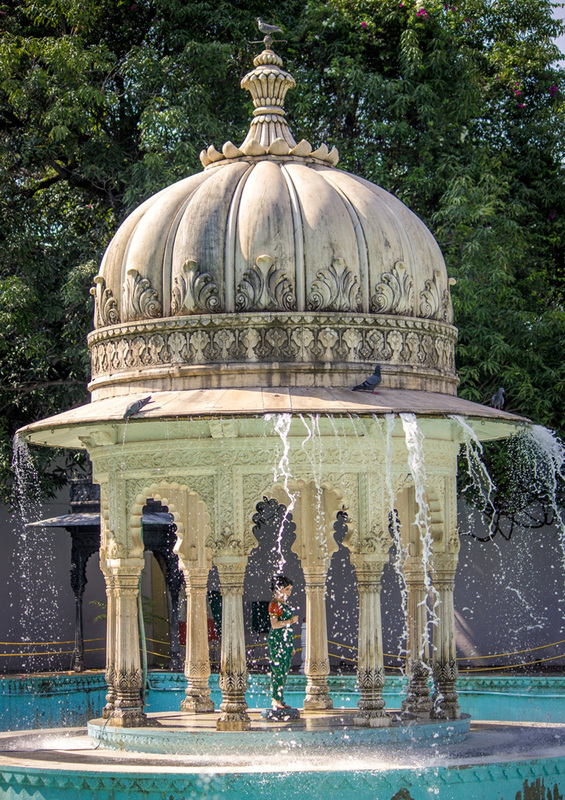 CYBORG, The Technical cell of Sir Padampat Singhania University, Udaipur is conducting an event “Microsoft DreamSpark Yatra 2012” on 29 March, 2012 in University Campus. The Speakers from Microsoft will be addressing around 800 Students on various topics associated with Windows technologies like – Windows Azure, Windows U-Crew, Kinect(Motion Sensing Input Device for Xbox-360) and their new Operating System – Windows 8. 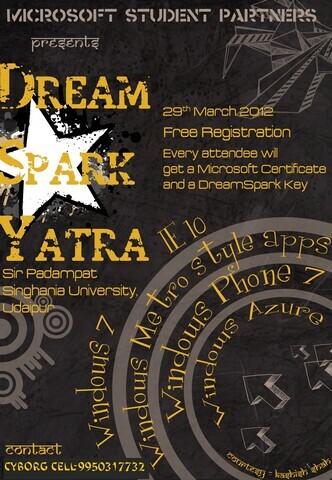 Each participating student will be getting a Microsoft Certificate along with Dreamspark License Key. The students at S.P.S.U. are ready to witness the exciting demos and interesting presentations from Microsoft experts and CYBORG is consistently supporting them to become Microsoft Student Partners (MSPs), an honor for any student.